- Built-in sound absorption microphone, you can clearly hear the sound within 10 meters. - High quality with exquisite appearance. - It can bend and stand as you like. - 720P high-definition camera, 1 million pixels and true color images. - Up and down 180 degrees adjustable, the head 360 degree rotation, you can adjust the angle according to need. - Optical glass lens, high-precision, no distortion of the picture. - Fixed regular 60CM focal length, you can freely rotate the lens to adjust. - Designed for laptops and desktops Android TV. 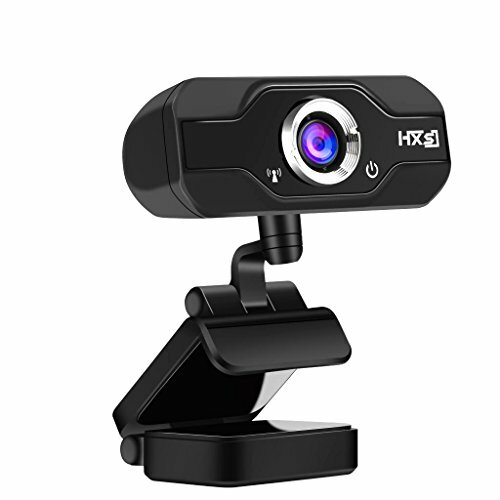 - Compatible with USB2.0,Automatic white balance, automatic color correction. - Support Windows 2000 / XP / win7 / win8 / win10 / Vista 32bit, Android TV. - Support a variety of video conferencing software, Netmeeting and MSN, Yahoo and Skype and other great projects, enjoy the big-screen visual experience. - The maximum dynamic resolution: 1280 * 720. 720P high-definition camera, 1 million pixels and true color images. Up and down 180 degrees adjustable, the head 360 degree rotation, you can adjust the angle according to need.